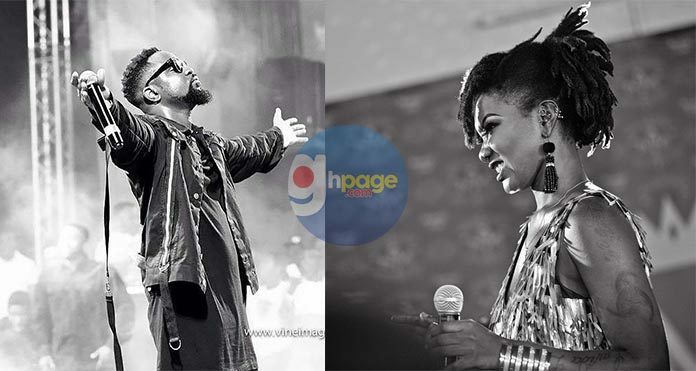 SarkCess Music CEO Michael Owusu Addo known in music circles as Sarkodie has finally released his personal tribute for the late dancehall diva, Ebony Reigns who lost her life in a gory accident on the Sunyani-Kumasi road just a few days to her final funeral rites. She perished with her PA Franky Kuri and a military man Francis Atsu Vondee. The new song titled ‘Wake Up Call’ calls the National Road and Safety Commission to ensure that the appropriate measures are implemented so our roads become safe to use and also asked drivers, passengers to also do their part, to ensure that our roads are safe enough, the road safety rules also adhere to. The 3minutes 34 seconds which features Benji is inspired by Ebony’s unfortunate demise and also that of several other people who had lost their lives because of road accidents. Sarkodie calls on the authorities to do the needful and also asked drivers, passengers to also do their part, to ensure that our roads are safe enough, the road safety rules are also adhered to. He further stressed that while we cannot disregard the prophecies of men of God, it’s also very important that attention is being paid to our roads and various safety measures adhered to. Ebony is now out of our memory. How life can be.